Tom concentrates his practice on various aspects of intellectual property. 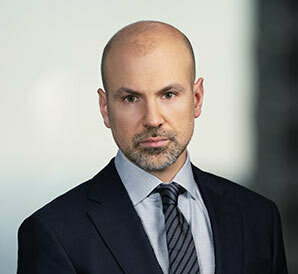 He works primarily in the areas of trademarks, copyrights and design patents, helping clients secure and expand protection for intangible assets. Tom has extensive experience in the clearance of trademarks, procurement of registrations, and portfolio maintenance and auditing in a variety of industries representing the firm’s diverse clientele. Tom assists clients on numerous IP issues including proper usage, strategies for enforcement, and compliance with truthful advertising standards. He also is involved in IP aspects of corporate transactions. In addition, Tom's practice includes licensing, trade dress protection, false advertising and other unfair competition, and right of publicity issues. Tom also is a member of the Firm's Litigation Group, concentrating on complex commercial disputes.